At one point or another, you’ve likely received a dreaded notice from your child’s school. The note, sent home with your child, indicates an outbreak of lice among the student body. This leaves most people slightly panicked and overly-concerned over every itch they experience. Through proper prevention and treatment, however, additional cases of lice are easily limited. First and foremost, do not panic. Panicking is the surest way to make a mistake and spread lice. Your first step after learning about a lice outbreak should be to check over everyone in the household. Yes, this means all children, your husband, and anyone else at risk. It is not necessary to shave the head of your child, though. Some parents go to drastic measures immediately. All household members should be checked over; anyone with evidence of lice needs to be treated at the same time. If you do not treat everyone at the same time, you risk the infestation spreading or returning to a previously-treated individual. Despite what many have told you, do not use a combination shampoo/conditioner, or conditioner before administering lice medication. You should also avoid washing your hair for 1-2 days after the medicine is removed. The majority of treatment options will only kill living lice; therefore, re-treatment is required in 7-9 days. Furthermore, if you spot any lice moving in the hair after 8-12 hours, but they’re moving slowly, do not retreat. The medication may take slightly longer to kill these pests, but it is working. Comb any dead or remaining live lice using a fine-toothed nit comb. If you suspect lice in your household and require treatment, contact Lice Lifters by calling 972-805-1308. We’ll clear up the outbreak and let you live a more comfortable life. 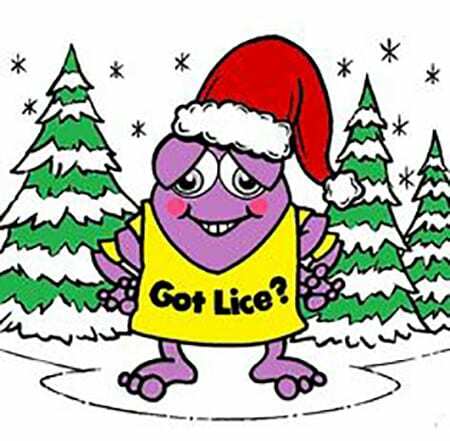 Remember, give us a call today before the lice spread! Don’t Forget About Lice During Summer Camp Season! When your child comes home from summer camp, the last thing you want is them to track lice back into the house. The American Camp Association reports that head lice are among the most common camp problems. However, even though your child comes home with lice, don’t assume you can never send them back to that camp. In fact, even the cleanest summer camps have lice problems! Unfortunately, lice have been common for hundreds of years, with over 12 million cases per year. Plus, lice is extremely contagious, making it easier for kids to get them. – Lice are parasites that are nearly invisible to the naked eye. They are a clear color but turn a reddish color once they start consuming their host’s blood. – Female lice can lay up to six eggs a day, called nits, which stick to hair and resemble dandruff. – Although lice don’t fly or jump, they can crawl deep into hair to avoid light. Often, they are much harder to find than the eggs they lay. – Lice can make the scalp itchy but often reside on the neck and behind the ears. Scratching can cause a scalp infection, even though lice do not actually cause the disease themselves. – There are a variety of treatment plans for lice such as over-the-counter and prescription lotions, shampoos, and creams. Unfortunately, ordinary shampoo will not get rid of lice and fully treating lice can take up to two different treatments. – Luckily, lice only live in hair, so there’s no need to disinfect your home. Although, it’s suggested to wash clothing and bedding that may have lice on it. Although most camps perform checks before dropping off your child at summer camp, you should get familiar with camp policies on lice checks, such as how often they perform them. Plus, since staff members can just as easily get lice, these checks are common to de done throughout the day. However, what happens if the camp your child goes to doesn’t know what to do during a lice infestation? Upon dropping your child off at camp, make sure that the staff knows how to deal with lice, as well as a treatment location on-site. Additionally, it’s also important that no staff member tries spraying harmful chemicals on your child as a lice treatment. – Always be on the lookout on your child’s neck, behind their ears, crown of their head, and under their bangs for lice or nits. It’s important that you have a talk with your child about the importance of checking for head lice. This can be done with a simple lice identification lesson or a common reminder to not have hair on hair contact or sharing clothing. A simple motto that you can integrate is, “No shame, no blame.” After all, there’s no reason to be embarrassed if you have lice. A great way to prevent any lice infestations at home is to perform a quick post-camp lice check once your child returns from camp. Aside from that, you should also make sure you wash all your kid’s clothes and bedding to kill any lice that may be residing on them. If you do find lice, there are measures you can take to remove them. Lice treatment consists of prescription shampoos and lotions. Lice are not as dangerous as other parasites and do not carry any sort of disease. If anything, they’re more of an annoyance and hygiene issue. Plus, they are incredibly common and head lice removal is relatively simple. So, always keep an eye out, but don’t let your child tease anyone who has lice or make a big deal out of it. No shame, no blame! All too often our Dallas area clients think that if they get rid of the adult head lice, that’s all that needs to be done in order for the head lice infestation to go away. That’s not true. It’s equally important to get rid of the harder to remove nits. In this article, we’ll looks at several facts and figures regarding nits and how they can be eradicated. Nits are lice eggs laid by the adult louse at the base of the hair strand near the scalp. Nits are firmly attached to the hair shaft and are oval-shaped and very small and can be difficult to see. Head lice nits usually take about 8–9 days to hatch. Head lice nits usually take about 8–9 days to hatch. Millions of Americans, approximately 10-12 million, will become infested with lice on a yearly basis. 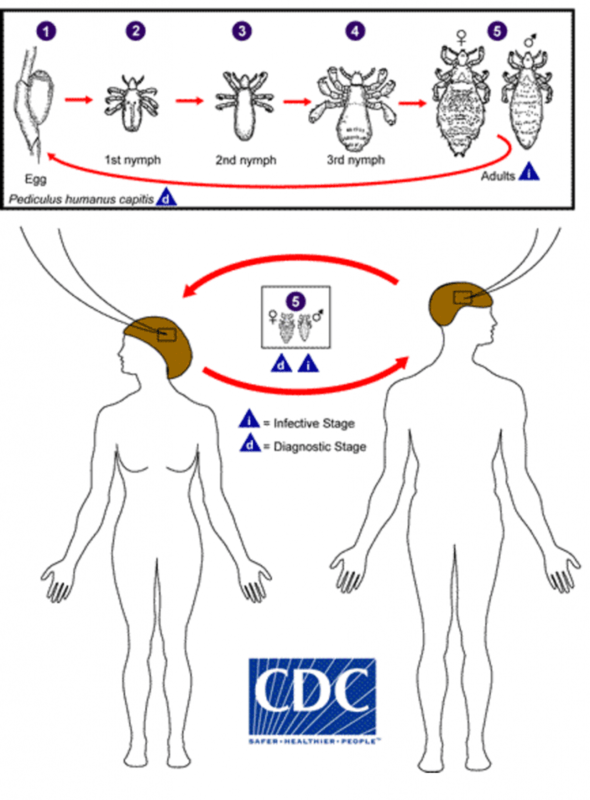 If nits are not removed, another outbreak is likely. As mentioned above, it’s important to use a treatment that addresses all life stages of the head lice in order to completely eradicate the infestation. 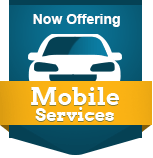 That’s why we offer a wide range of products and services at Lice Lifters, so you have options. Our nit comb is specially designed to aid in lifting the nits from the hair strand and off the scalp. They are held onto the strand with a kind of “glue” that can make them difficult to fully remove without it. If you or someone in your household is dealing with head lice, give our trained lice lifticians a call today at (972) 805-1308. We offer head checks at our Dallas area location and a range of preventative options in addition to our treatments. Whether it’s a dreaded call from the school nurse or the discovery of nits after a slumber party, discovering that your child has head lice is always bad news. The good news is that by taking action quickly, you can make the process of eliminating head lice in your family relatively painless. What’s more, there are some pesky myths out there that make lice removal in the home seem a whole lot worse than it actually is. Read on for our top tips to take control of a lice outbreak in your household. Take action NOW. This is not the time to procrastinate in the face of an unpleasant task. Start the process ASAP to quickly eliminate head lice and prevent the infestation from spreading. That means letting school, child care, and friends know about the problem. Get head checks for the entire family. If one person under your roof has lice, there’s a good possibility that others are infected as well. That’s why it’s best to have everyone in the family examined. 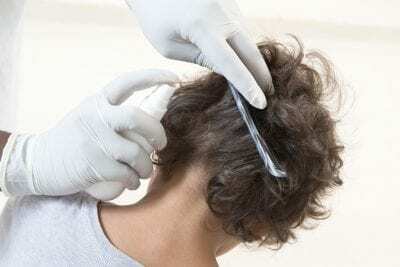 Lice Lifters DFW offers professional head checks, and the examination fee is applied toward treatment if lice are found. Get professional treatment. As a mom who has battled head lice, I can tell you that enlisting professionals will save you both time and serious anguish. In fact, when you follow the Lice Lifters DFW protocol, we guarantee the success of our treatment. Clean wisely, not widely. While the idea of lice may disgust you, there’s no need to obsessively disinfect your entire home. Unlike fleas, lice require a human host to survive, so lice won’t lay eggs on sofas or stuffed toys. They don’t live on pets, and they don’t jump or fly. You’ll want to wash any bedding, clothing, and personal items (like brushes) that those infected have been in contact with over the past couple of days. In addition, a routine vacuuming of floors and furniture is in order. If you’re paranoid about pillows, plush bedtime buddies, or even hats and hair accessories, a spin on your dryer’s hot setting should put your fears to rest. Toxic insecticides and foggers are simply not necessary. Hands down, the most important thing you can do to rid your household of lice is to make sure your family’s heads are lice free. At Lice Lifters DFW, we can not only eliminate lice and nits quickly, but we’ll do it using our nontoxic, natural treatment solution with no harmful pesticides. In addition to our regular business hours, we also offer after hours appointments upon request. Just call us at 972-805-1308 or email me at infodfw@licelifters.com.